We are pleased to announce that tickets are now onsale for our Full-Time College showcase which is being held at the Shaw Theatre, Kings Cross on the 28th and 29th June at 7:30pm. 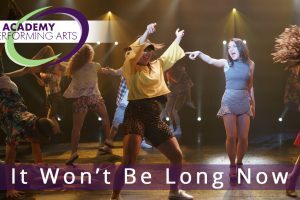 The showcase features music from In The Heights, The Bodyguard, Waitress, Jekyll and Hyde, Grease 2, Avenue Q as well as some great current pop music. We’d love to see you there supporting the graduates at this hugely important time. Would you like more information about the College?